This sounds fabulous. I loved I Hunt Killers and Gone Girl (the movie version at least). I'm excited to try this. Hmmm... I'm not sure this is the book for me. I don't love contemporary fiction! I hope you really enjoy it though since it sounds like you loved the books it's being compared to! There are always consequences and that's a hard lesson to learn. This sounds really interesting. Oh, I suppose my TBR can stand one more. Thanks for pointing this one out. I have been waiting for this one for months! I really enjoyed Paula Stokes' The Art of Lainey and I love mysteries so I am beyond excited for this one. I also think the cover is really awesome. I've seen this one around a lot. It sounds like a good mystery. I'm pretty excited for this one! I'm a huge fan of Gone Girl and I have heard some awesome thing about How to Get Away with Murder! This sounds so good! 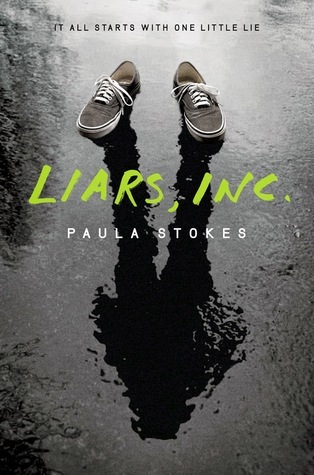 I'm not really a fan of mysteries, unless they are YA and Liars Inc. is, so I'm looking forward to checking this book out. Thanks for sharing! I also loved Gone Girl (the movie), I will definitely check this one when it comes out, thanks for sharing!